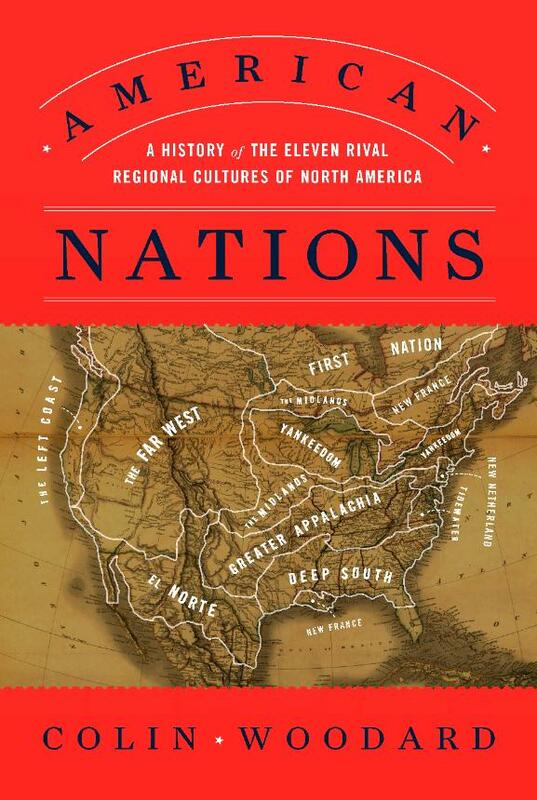 Two things I came to realize from reading Colin Woodard’s American Nations: A History of the Eleven Regional Cultures of North America are how much the various regional cultures have changed over time, but how they still have preserved their separate identities. One of the most interesting parts of his book is his account of how the various regions were changed by the cultural revolution of the 1960s, but in different ways. 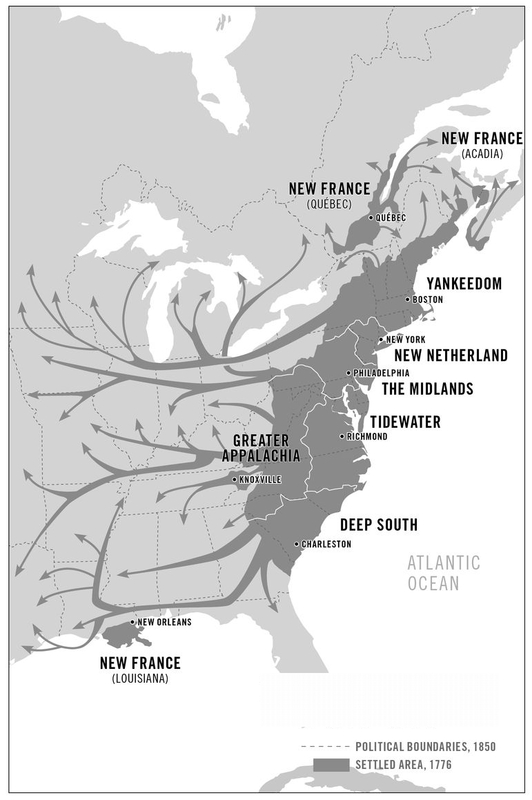 The four Southern regions (Tidewater, Deep South, Greater Appalachia, New France) gave up their resistance to legal equality for African-Americans. The white political establishment in, for example, North Carolina opposes a reform movement of African-Americans and their white allies, but this is done through normal political maneuvering, not murder and terrorism. This is a revolutionary change. 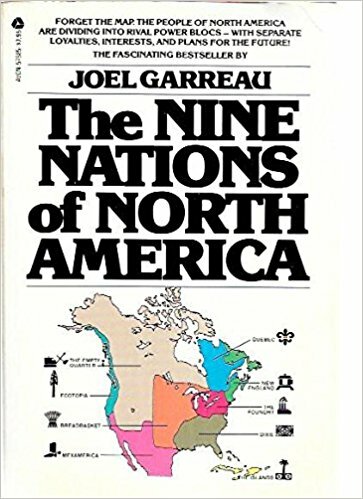 Spanish-speaking people in the Southwest (El Norte) and French-speaking people in Quebec (New France) changed from being politically passive and oriented toward tradition to being politically active and oriented toward the future. I think these changes were set in motion by the new thinking of Pope John XXIII and the Second Vatican Council. The “youth revolution” in attitudes toward drug use, military service and sexual morality—”acid, amnesty and abortion”—was limited to the Pacific Coast (the Left Coast), the Northeast (Yankeedom and New Netherland), Woodard wrote. This, too, was a revolutionary change. A hundred years ago, you could get arrested as a pornographer in Boston for distributing information on birth control. Now Boston is a stronghold of Planned Parenthood. Woodard overlooked another transformative 1960s movement—the new conservative movement represented by Barry Goldwater and Ronald Reagan. The Far West was once the scene of violent labor strikes with battles between armed workers and company police. Now there are confrontations between armed right-wing private militias and the federal government. 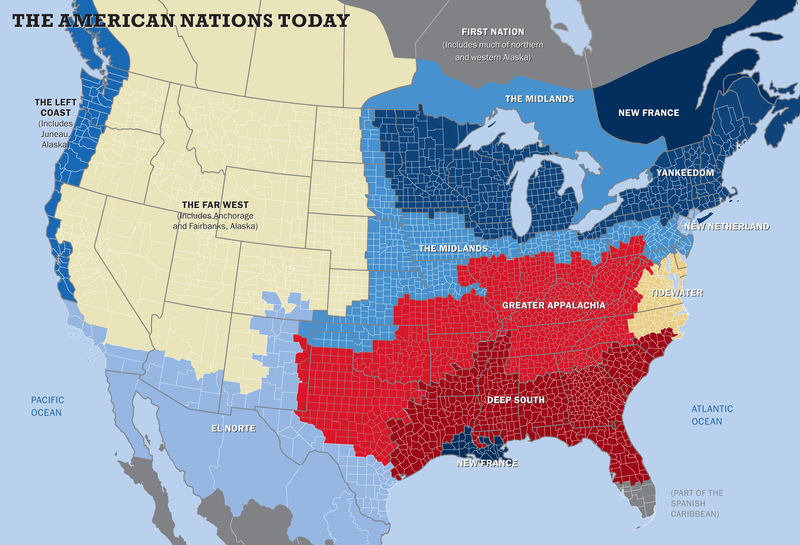 Is the American South a nation? What is a nation? In my opinion, a nation is a group of people who wish to live under an independent sovereign government and whose primary loyalty is to each other. By that definition, are any of the regional cultures in Colin Woodard’s American Nations nations? Some North American Indian nations fit that definition. The French-speaking people of Quebec are a nation; they have achieved virtual sovereignty within the Canadian state. A certain number of African-Americans and of Mexican-Americans think of themselves as a separate nation. Woodard described early secessionist attempts in the trans-Appalachian West and talk of secession of New England during the War of 1812, but none of them every came to anything. There is talk today of secession in California, Texas and other states, but also highly unlikely to come to anything. The only region within the United States that ever made a sustained struggle to be an independent nation is the American South. 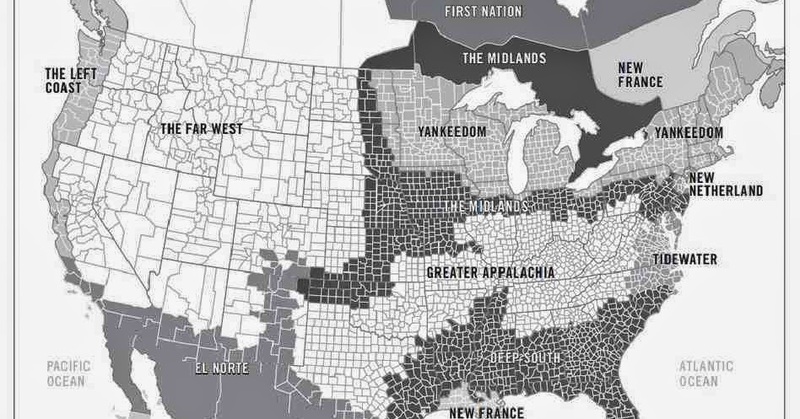 Originally the South, according to Woodard, was not one unified region, nor even two (the mountain and lowland South), but three (which he calls Tidewater, the Deep South and Greater Appalachia). The difference between Tidewater and the Deep South is that the first is that the Chesapeake Bay region was settled by Cavaliers from southern England, who hoped to reproduce British aristocratic rule as it was in the 16th and 17th centuries, and South Carolina was settled by planters from the British colony of Barbados, who intended to establish the slave society of the West Indian sugar islands. Slavery in the two regions was very different. The first Africans imported by the Tidewater plantation owners were indentured servants, who had a legal right to freedom after they served their indenture. Race slavery was introduced only later. This explains something that puzzled me. I learned in a biography of Harriet Tubman, who was enslaved in my home state of Maryland, that Maryland in those days had the highest proportion of free black people of any American state. Later a fellow Marylander, who visited Liberia in his youth as a merchant seaman, said he was astonished at the number of Maryland place names and family names he saw there. Where did those free Maryland black people come from? The free black people in Maryland, and the African-American colonists of Virginia, were the descendants of the indentured servants. Their presence in Maryland and Virginia meant that, even though free black people lacked virtually any legal rights, they still were not quite reduced to the status of livestock. In contrast, the slave culture of the Spanish, French and British colonies in the West Indies was more like the Soviet Gulag or the Nazi forced labor camps than it was like serfdom in 16th and 17th century Europe. The West Indian sugar plantations were strictly commercial operations, controlled by a tiny minority of white people, who used terror, torture and the threat of death and mutilation to try to keep slaves under control. Slaves died at such a rate that the planters needed a continual supply of new slaves to keep operating. Slavery in South Carolina and the rest of the Deep South was not quite as bad as that, but it was bad enough. Slaves in Virginia and Kentucky feared being sold down the river to South Carolina and the Gulf states. But slave owners in the Deep South threatened slaves with being sent to Cuba, which was even worse. I don’t, of course, intend to justify slavery in any form. Any time one group of people has absolute power over another, you will reproduce the Stanford prison experiment. Neither to I intend to imply that Southern white people were all demons or that Northern white people were angels. 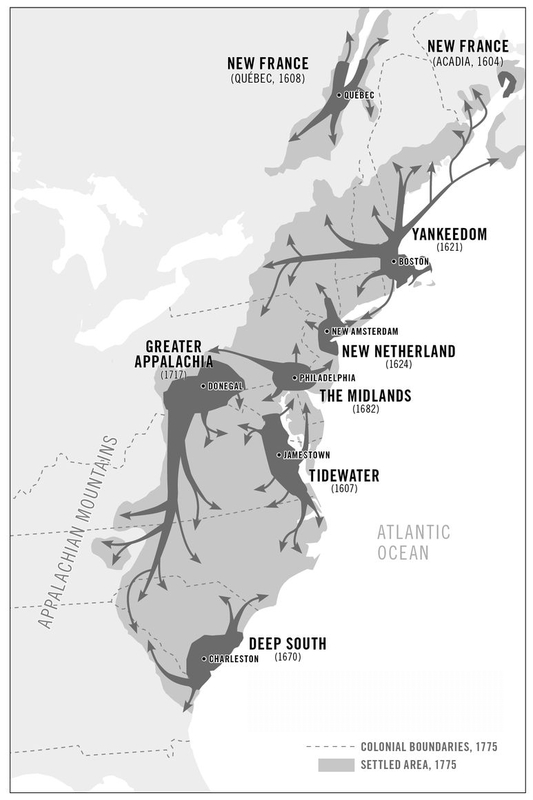 Woodard pointed out that there was a time when there were more African slaves in Dutch New Amsterdam than in the region from Maryland to Georgia. Much of the African slave trade operated out of Newport, Rhode Island, from which Yankee skippers took trade goods to west Africa, then slaves to the West Indies and then rum back to New England. The whole newly independent USA was involved in slavery, not just the South.